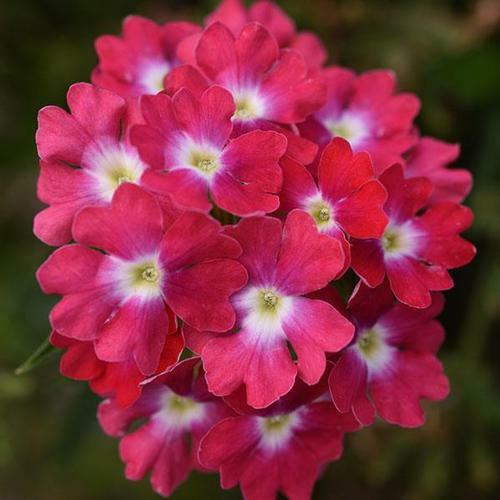 A series of verbena that boasts flowering one week earlier than other verbena on the market. Same heat performance as EnduraScape in an upright, compact form. Bold pinky-purple flowers with white centers held in clusters above green foliage.